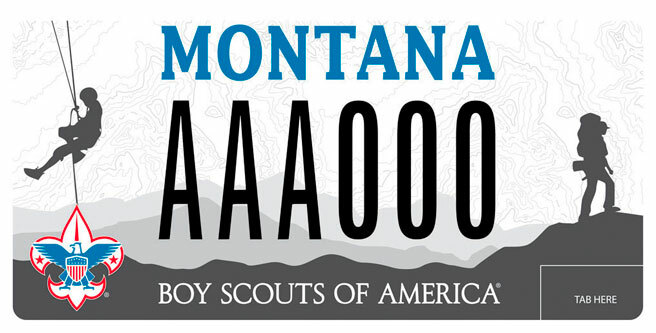 We are pleased to announce our new BSA Montana Council license plate. The first time cost of the plate is $35 and yearly renewal fee is $25 — $25 of which goes directly to the Montana Council. You don’t have to wait until your plates expire to get one. The first 250 people to send in a picture of their new Scouting license plate on their car/RV/etc. will receive an individually numbered Montana Council license plate patch! Get yours today. For your patch, email a picture of your new plate to jory.dellinger@scouting.org.